Simple and delicate, this vintage inspired design could easily be mistaken for a precious pendant. So understated and delicate, Pearl Droplet Pendant could easily be mistaken for a precious 1950s vintage pendant. 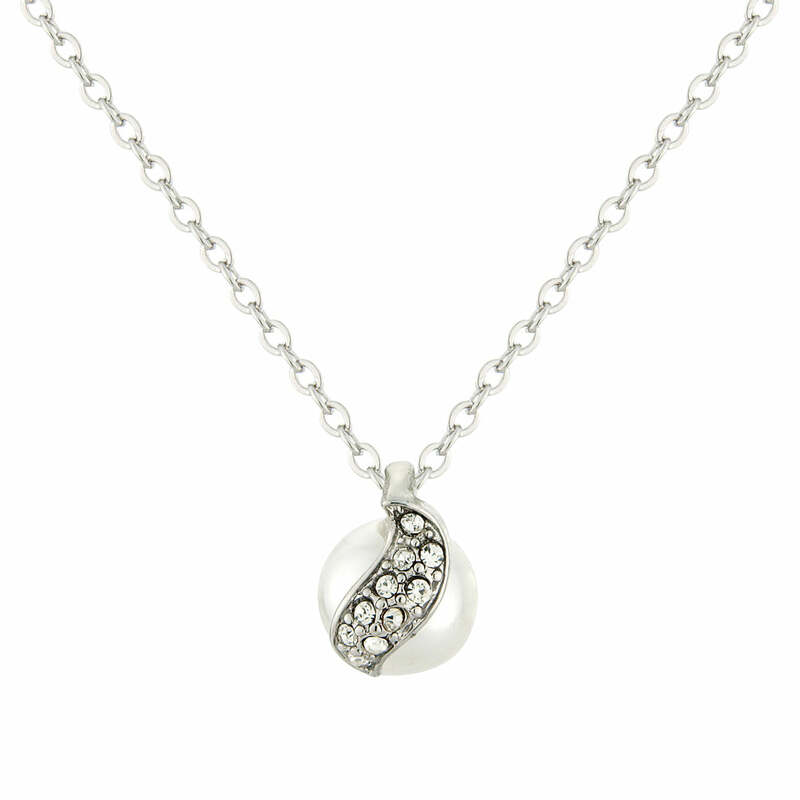 Featuring an Austrian crystal studded adornment set over a light ivory faux pearl and suspended from a fine silver tone chain, this beautiful necklace offers a twist to a plain pearl pendant. A divine pendant with a touch of timeless class, it looks exquisite coordinated with simple pearl and crystal earrings and would make the perfect gift for someone special. Brides who favour subtle wedding jewellery or require a delicate 'piece' to balance a dramatic headpiece will adore this necklace which will be worn time after time.